We first visited the Jasper County Fair at the fairgrounds located off Highway 114 west of the town of Rensselaer. Living in Rensselaer, we had been to this fair for the past several years. 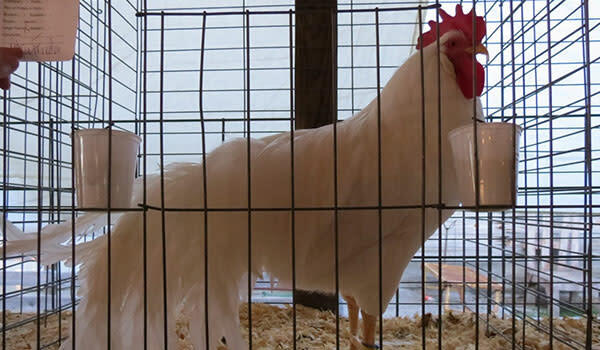 We always enjoy visiting the animals, particularly the rabbits and poultry, to see what interesting breeds are on display. 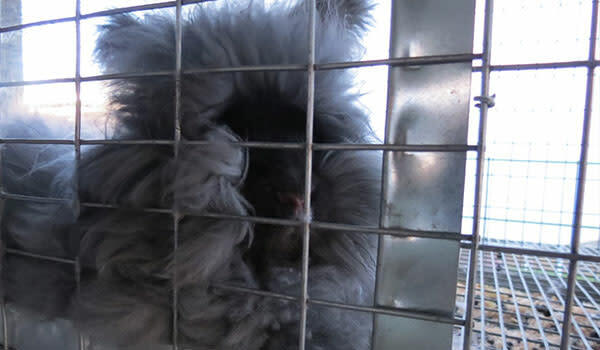 This year we saw this rabbit, which was so furry you could hardly even see his face! 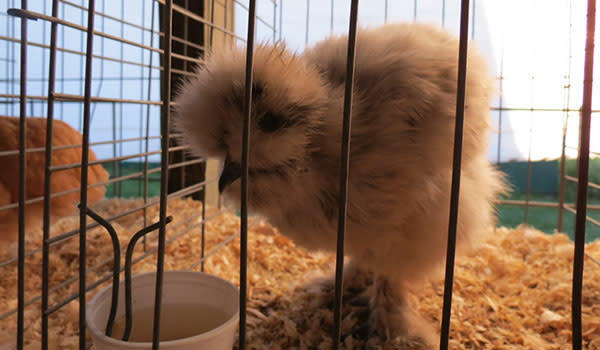 In the poultry display, there was a gray Silkey that caught our eye. There was also this very striking rooster. 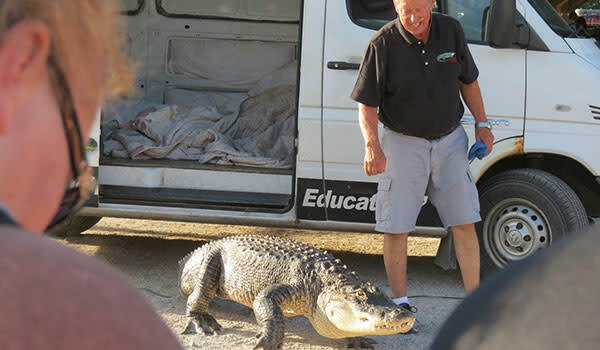 Some of our other regular stops included the Soil and Water District Exhibit, which has wildlife and ecology displays, the retired Iron Workers Club, which showcases and operates old tractors, and the Arts and Crafts Show. This year’s show had some interesting diorama entries. 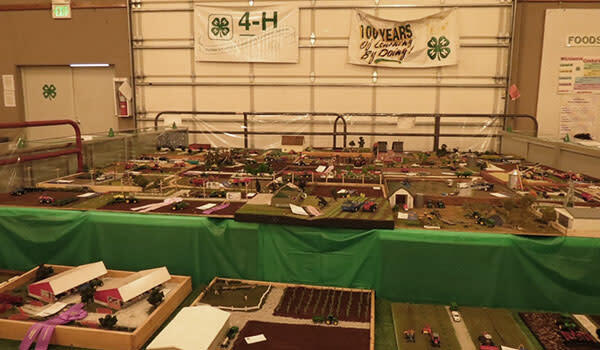 Besides these activities, the Jasper County Fair had numerous evening acts, including a Demolition Derby and Rodeo, as well as a variety of food vendors. We’ve always been fans of the milkshakes and elephant ears, but that’s just us! To go along with the “Earth” theme, the Nature Conservancy had a display on Monarch butterflies and Milkweed plants. 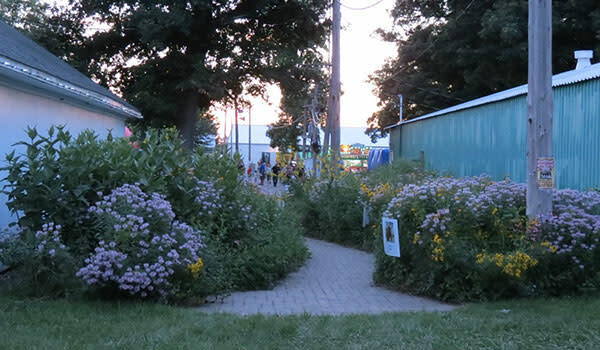 From there, visitors could do a short but beautiful native plant walk. 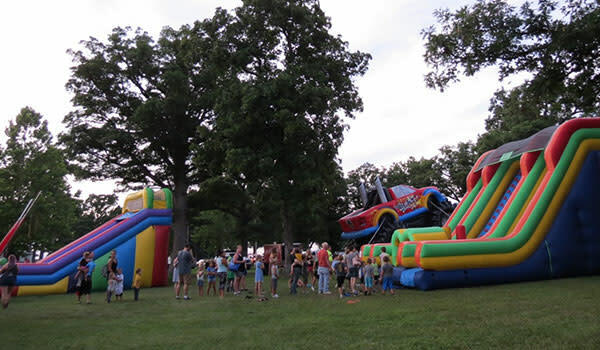 For our boys, though, the highlight of this fair was the assortment of bounce houses and activities on hand for Kids Night. Overall, some comparisons emerged between the two fairs. The Jasper County Fair has a wider variety of food vendors and stage acts, including events and performers. 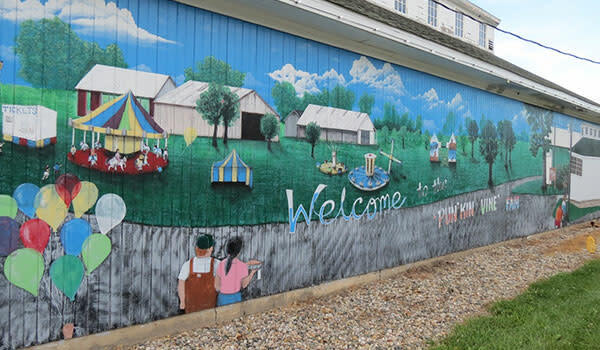 Newton County Fair, though, has a more “folksy” feel to it, from its park-like setting to the wooden barns and murals. Each fair definitely has its own personality and different people will be drawn more to one or the other. Based on this year’s experience, I would recommend visiting both in the future to get a sense of which personality suits you and your family best. There is definitely something fun to do no matter which you decide to attend!